Reggae star Collie Buddz remains an unchallengeable number one with almost 27 million views, while Bernews continues to move up through the charts. Over the past six months, its YouTube Channel has had five million views, with many of those views attributable to one video which has attained over 2.7 million views in recent weeks. As a result, it is now number two on Bermuda’s Top 20 YouTube Channels, and singing group Thirdstory gets bumped down to third in our quarterly rankings while BIOS slips from third to fourth. The Bermuda Tourism Authority moved from eighth to sixth pushing Mishka to seventh and Burnt House productions to eighth. Hot Fiyah Sounds also moved up two spots from 17th to 15th. If you know of any channels with Bermuda content who should be included, please email me at dburgesspb@gmail.com. All Bermuda Triangle videos are excluded. 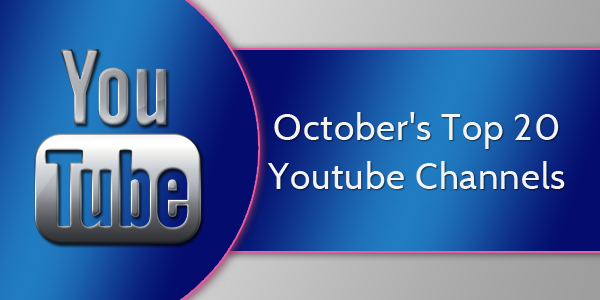 All YouTube views were recorded on October 22, 2017, and tally total views, not views specific to October. Don Burgess is the Executive Officer for the Media Council of Bermuda and is the former deputy editor of the Bermuda Sun newspaper who has earned certifications in social media and inbound marketing through Hootsuite, HubSpot, Edemy and Lern University. PLP gotta be on top! Email dat bye down below!